When my friend Pauline said she wanted to send me some Etude House eyeshadows, I was skeptical. 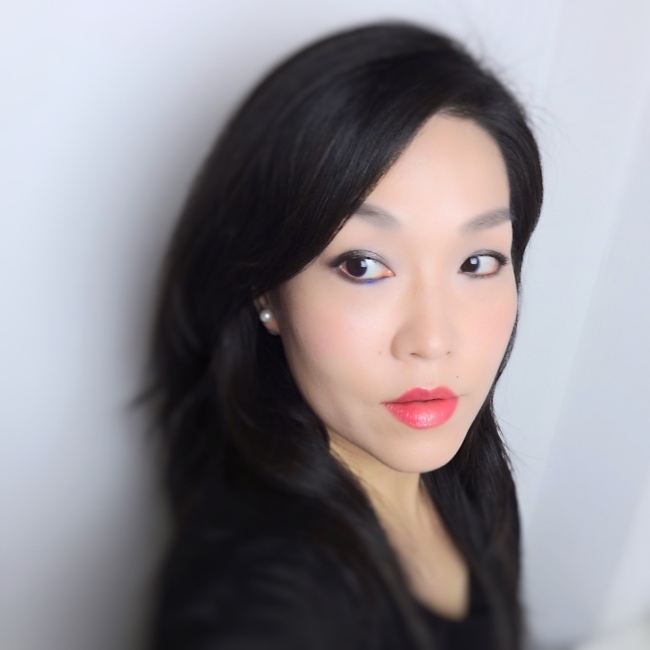 Eyeshadows from Etude House are something I had experienced a decade ago and completely dismissed. They were no different from "chalk" back then. My friend probably read my mind and added, "Now they are good." Which is true as she always is when it comes to cosmetics. 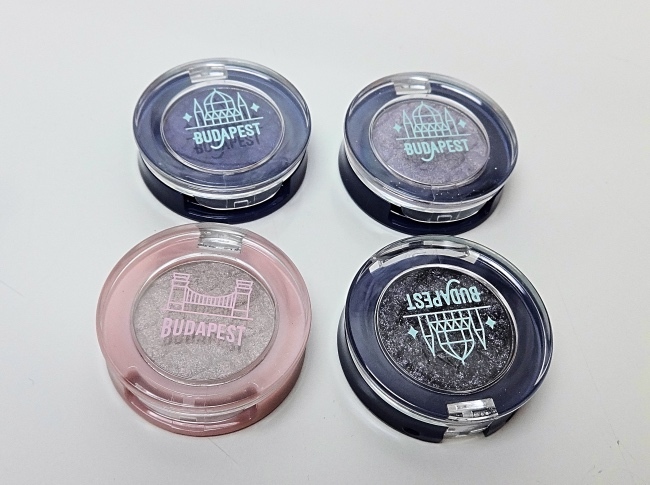 All four colors are highly pigmented and stay true all day if applied over eyeshadow primer. BL606 is a bit tricky to work with as almost all navy blues are. I think it is best to use as a liner. BK803 is an easy-to-wear dark grey with beautiful multi-colored shimmer. My favorites are BK805 and BK806. These are buttery soft and blend in very well. BK805 is beautiful on its own but works fantastically to smooth out deeper colors. BK806 is a soft highlighting shade that looks great on inner corners of the eyes. This is a simple look I put together using all four shades. Bottom Line: Great for the price even after a considerable markup (still $5-6 per each). I'd say get these, not those Colourpops. PS. I bought two sets from colourpop and I actually kind of like those (the matte shades), just not the bulky packaging. So I went to the store(besfren beauty) again just now. They only have five shades from the Budapest collection. I swatched again, didn't like any but I picked up two from permanent range (only five bucks a piece)...Then two more shades from innesfree.The glitters are complex for those! The eyeshadow are actually same price as ebay but the innesfree lipstick had a 100% markup. Of course, I figured out *after* randomly buying one...Well, it is a pretty cream-gel coral though. Never heard from this brand, until now! Looks good! Especially that first shade is a stunner. Etude House is under the Amore Pacific umbrella - geared more towards younger people. I agree the first shade is extremely gorgeous. I just wish it was easier to work with. LOL Lena! I've been ignoring this brand completely because of my experience with its eye shadows a decade ago too!!!! They were so chalky, so gritty, OMG I couldn't believe I bought them then gave them away almost immediately. My then teenage niece appreciated them more than I did. These look so PRETTY! I wish they were here! And yeah, I tried one Colourpop eyeshadow and MEH. They are and easy to use too! I think Colourpop is actually expensive for what it is or for how much you get (not that was ever our problems. Haha). 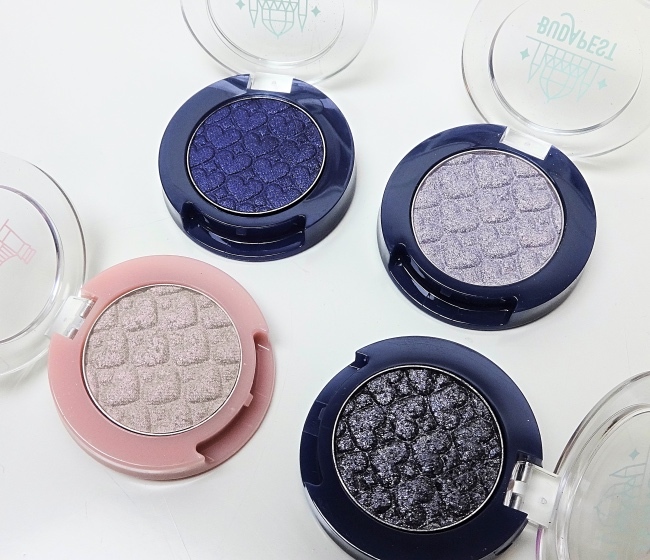 :D My exact same expectation of EH eye shadows from when I lived in Seoul. Everything so adorable, everything so MEH. These however look beautiful in the swatches and on though.